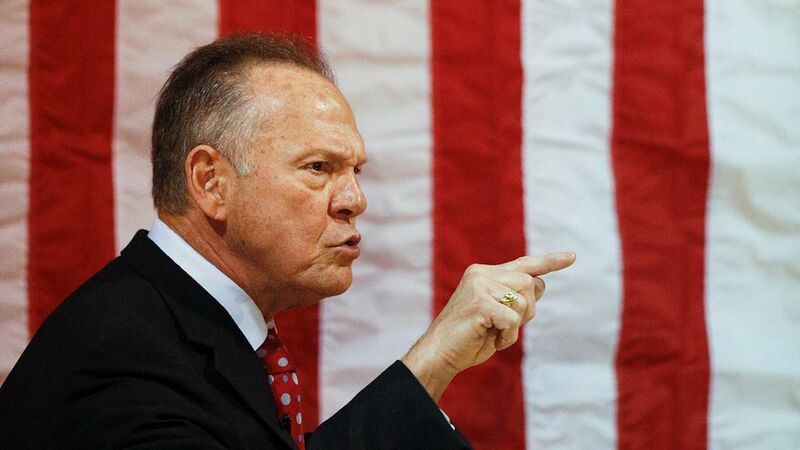 With a week to go before Alabama voters will cast ballots to elect their next senator, prominent Republicans are backing away from their initial statements that GOP candidate Roy Moore should drop out of the race. Nov. 9: The original Washington Post report quoting 4 women on the record saying Moore pursued or abused them when they were teenagers and he was in his 30s is published. Right away, several Republican lawmakers say Moore should step aside if the allegations are true. Sen. John McCain is the only one to say Moore should step aside immediately. Moore denies all of the allegations and denies even having met his accusers. Nov. 10: Sens. Mike Lee and Steve Daines pull their endorsements of Moore. Nov. 12: Sen. Pat Toomey, who initially said Moore should drop out "if" the allegations are true, says "it would be best if Roy would just step aside" on NBC's "Meet the Press." Per Toomey's office, he maintains this position. Nov. 13: A fifth accuser, Beverly Young Nelson, comes forward with allegations against Moore. Several lawmakers, including Majority Leader Mitch McConnell, Speaker Paul Ryan and Sens. Lindsey Graham and Orrin Hatch, amend their statements to say Moore should immediately step aside as the allegations are credible. Sens. John Cornyn and Ted Cruz pull their respective endorsements of Moore, leaving Sen. Rand Paul as the only one still backing the candidate. Nov. 14: McConnell says Moore will face an Ethics Committee probe "immediately" after he swears in as a senator, if he wins. Nov. 15: Four additional women come forward alleging that Roy Moore made unwanted advances toward them, and two of them say he initiated unwanted physical contact. Moore's campaign attempts to discredit Nelson's allegations. The Alabama Republican Party meets and decides to continue supporting Moore. Nov. 21: Trump gives Moore his de facto endorsement. The White House had previously said Moore should drop out of the race if the allegations are true. Nov. 26: Trump offers another de facto endorsement by tweeting "the last thing we need in Alabama" is a Democrat. Nov. 27: At his first campaign event in 11 days, Moore flatly denies the allegations. Sen. Richard Shelby of Alabama votes early in the election, and says he wrote in a "distinguished Republican" rather than vote for Moore. He doesn't give a name. Nov. 29: At another rally, Moore doubles down on his denial. Dec. 3: On the Sunday shows, McConnell and Graham walk back their earlier rebukes of Moore and say they'll let the people of Alabama decide his fate. Asked whether he should face an ethics investigation if he wins, both senators say they'll leave that up to the Ethics Committee. Dec. 4, eight days before Election Day: Trump tweets a full-throated endorsement of Moore and calls him, saying, "Go get 'em, Roy!" Debbie Gibson, who said she dated Roy Moore when she was 17 and he was 34, presents a note that he allegedly wrote to her as evidence of their relationship to the Washington Post. She tells the Post she came forward because Moore denied knowing her at all. The RNC gets back into the Alabama race to financially support Moore's campaign.